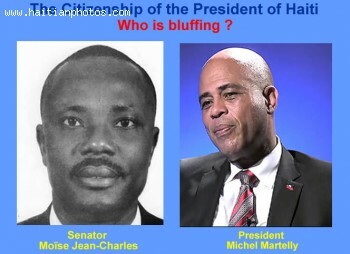 According to the Senator of the Republic for the north, President Michel Martelly is not Haitian citizen, he as taken the natiolalities of United States and Italy. The Senator is expected to file document to support his statement. However, after admitting that he filed the required documentation with the senate commission investigating the nationality of President Michel Martelly and members of the Haitian government, the commission said that they did not receive the alleged document.